The high-alpine pastoral community of Fairplay Colorado is a wind-swept gateway to jagged mountain ranges, winding trout streams and Colorado's mining past. Fairplay is located approximately 20 miles south of Summit County on State Highway 9. Flanked by huge mountains and excellent trout streams, Fairplay is popular with the outdoors set. Services are minimal and rustic, but Fairplay does have basic lodging, groceries, gas, restaurants and bars. A historic gold mining town, Fairplay, or “The Real South Park,” is the most populous community on a vast grassland basin. 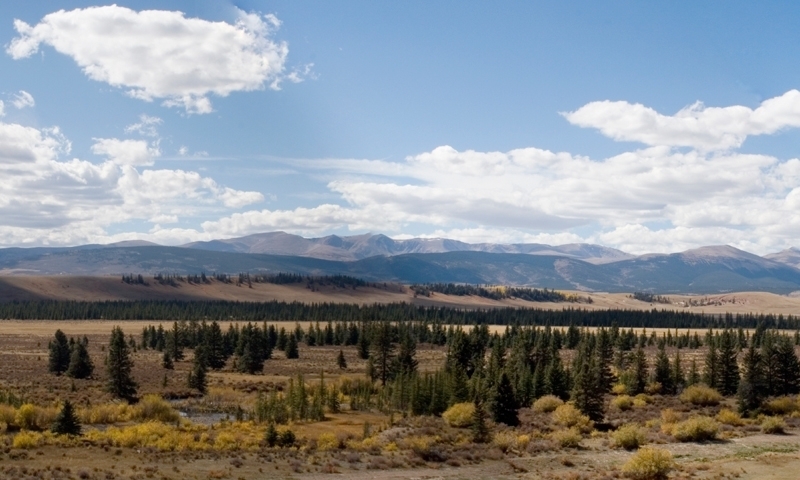 Fairplay, being both rural and close to Summit County, is a combination ranching and bedroom community. The Town of Fairplay Colorado is located on State Highway 9 about 20 miles south of Summit County. Fairplay and its sister town, Alma, have eclectic main streets with a smattering of authentic mountain shops, restaurants, general stores and bars. There are a few motels, guest ranches, rental cabins and ample camping for RVs and tents. Fairplay CO is a hot bed of outdoor activity with extensive off-roading opportunities and a cluster of 14,000-foot mountains. The basin also offers excellent trout fishing on expansive meadow streams. Visit 1860s Colorado at The South Park City Museum – a well-preserved collection of 34 buildings filled with over 60,000 mining-era artifacts. Check out the annual Burro Days festival, which culminates in a 29-mile burro race over 13,000-foot Mosquito Pass. From Summit County, take State Highway 9 south through Breckenridge for another 20 miles. En route, check out Quandary Peak, one of the most-climbed "14ers" in Colorado, on the right, north of Hoosier Pass. Quandary's summit offers 360-degree views of three imposing mountain ranges. Official site for Park County, Colorado. Official site for the Town of Fairplay, Colorado. The South Park Historical Foundation offers a complete history on the greater Fairplay area. Fairplay hosts a couple of the Colorado Art Ranch programs, specifically a Humor in the Arts program.